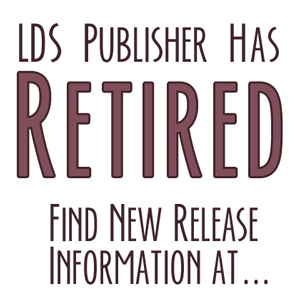 The LDStorymakers Conference is this weekend! I am so excited I can hardly stand myself. I have to say that as far as writing conferences go, this is one of the best. It’s well organized, has great presenters, and the atmosphere is positive and supportive. I have so much fun at these conferences. I love it! Unfortunately, if you haven’t already registered, it’s too late. (Sorry.) But there are zillions of writers conferences going on this summer, so I’m sure if you’re determined you can find one. But back to Storymakers. To get us in the mood, I’m dedicating the rest of this week to getting us excited. 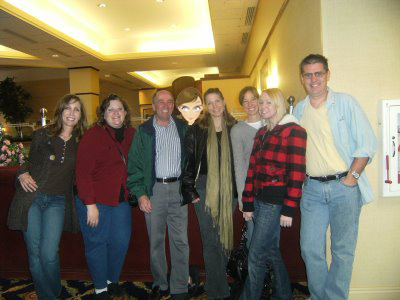 And what better way to ramp up the enthusiasm than to reminisce about past Storymakers conferences. Here are a few snapshots from previous years of me with just a few of my favorite peeps. These are some of the long-timers at Storymakers. 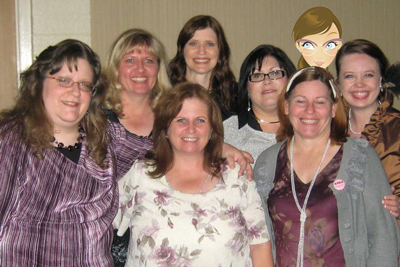 Here is a bunch of us. I think it’s the Authors Incognito group. 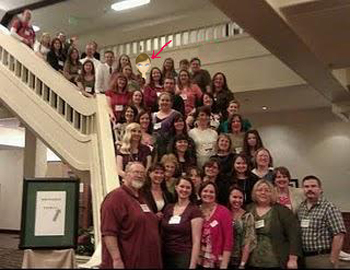 I’m the one with the red arrow. 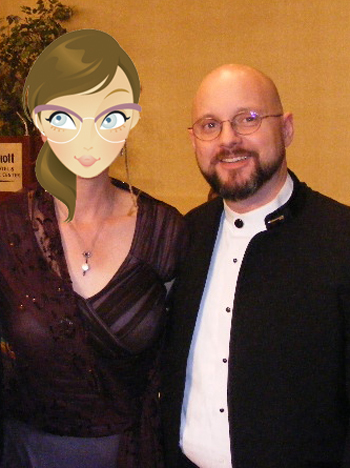 This is me with Howard Tayler. He’s hilarious. but he has lots of good information. 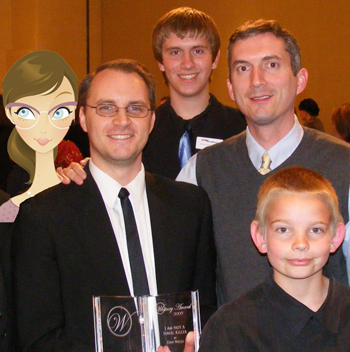 And here I am with Whitney Award Winning author, Dan Wells. and a future author, I suppose? *Photos provided by Tristi Pinkston and LDStorymakers. **Special thanks to my lovely assistant for collecting and “polishing” them.